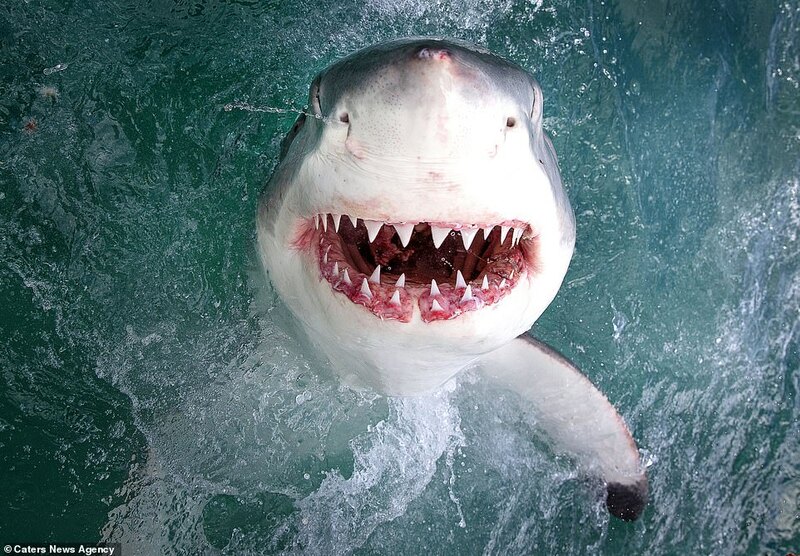 A photographer managed to capture this incredible shot of a great white shark just inches from his camera while on holiday in South Africa. Scott Davis, from Monterey, California, was leading a photography trip when he snapped the terrifying photos. The 50 year old said: 'I was leading a photography trip in South Africa when I took the photo. Mr Davis is a former marine biologist turned photojournalist, and previously studied the deep sea predator off the western coast of the US. 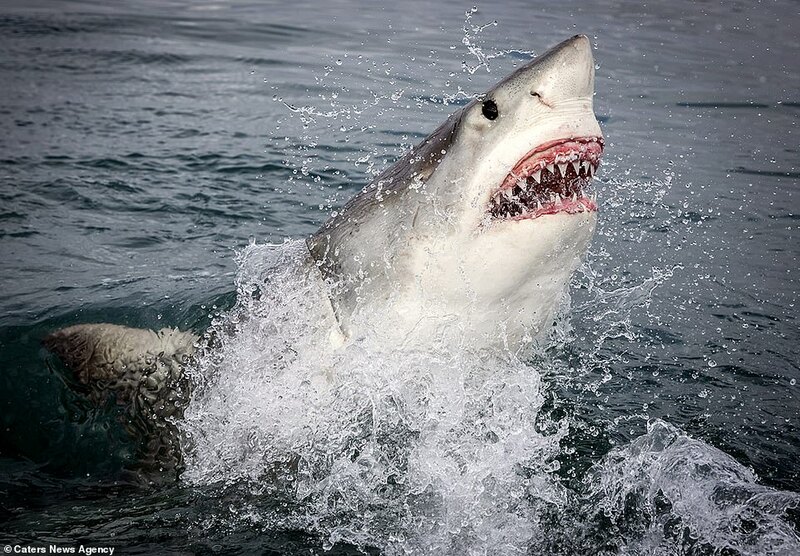 A recent study in the area found that there are only around 300 to 500 great white sharks left off the coast of South Africa. 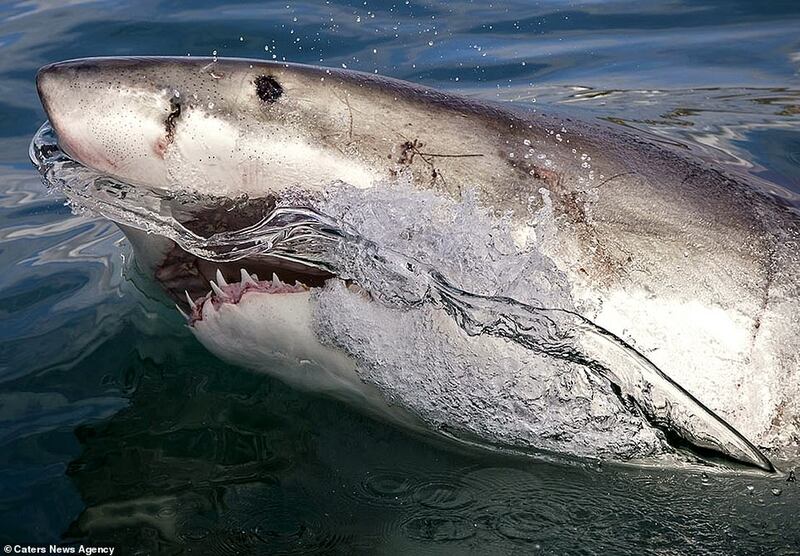 Great white sharks are classified as a vulnerable species.